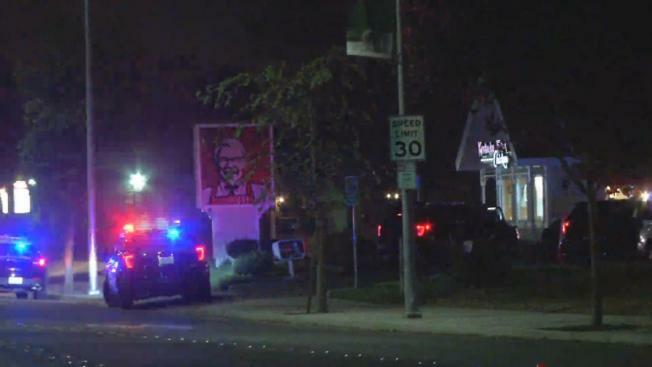 A man was taken into custody following a lengthy standoff with police inside a Milpitas KFC late Monday and early Tuesday, according to police. Roughly seven hours after the chaotic incident began, a SWAT team eventually made its way into the restaurant just before 2 a.m. and found the man hiding in the bathroom, according to police. He was taken into custody after resisting officers. The man was placed on a stretcher and loaded into an ambulance. He is expected to be booked into jail on multiple charges once he is medically cleared, according to police. The incident originally started around 6:53 p.m. when police received a call regarding a man who had locked himself in a restaurant bathroom and proceeded to bang on the walls and scream, police said. An officer on scene heard what could have been gunshots, prompting the evacuation of the restaurant, according to police. Negotiators tried to coax the man from the bathroom for the next several hours, but they were not successful, police said.